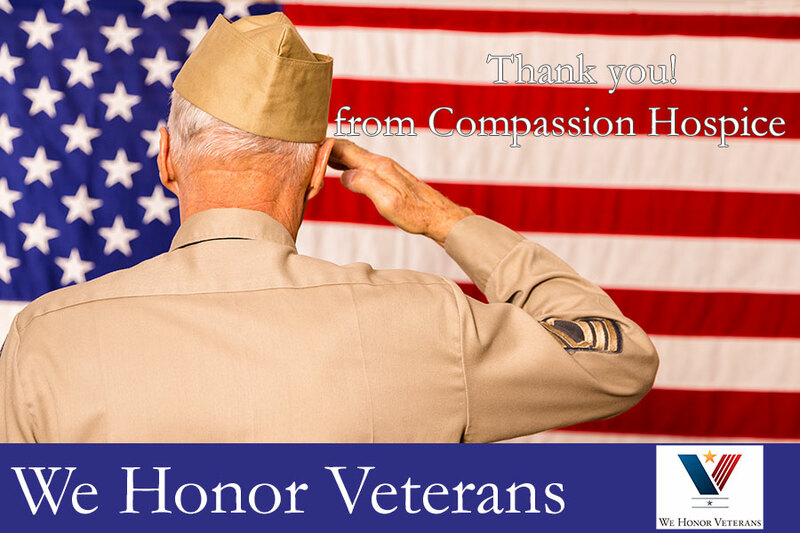 Compassion Hospice is a proud partner of We Honor Veterans, a national project developed by National Hospice and Palliative Care Organization in collaboration with the Department of Veterans Affairs. According to the program, one in four dying Americans is a veteran. These men and women often carry experiences from their military service that present unique challenges at the end of life. Learn more about the partnership at www.WeHonorVeterans.org.